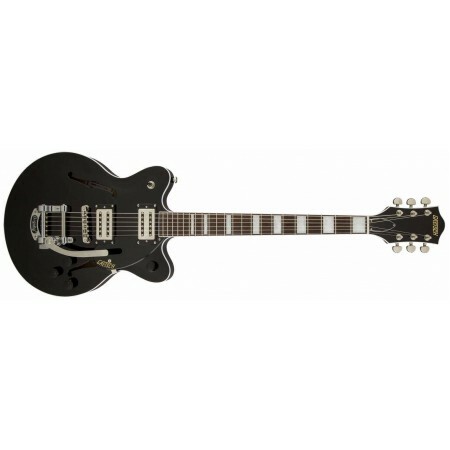 The Gretsch G2655T Streamliner Center-Block Junior Double-Cutaway Electric Guitar with Bigsby, is a sophisticated model that features some highly impressive features, and carries a dangerously affordable price tag. The guitar's unique design means that it is perfect for those who want a no-nonsense model that is right at home in a high gain environment, and compact enough that it’s exceptionally comfortable to play. 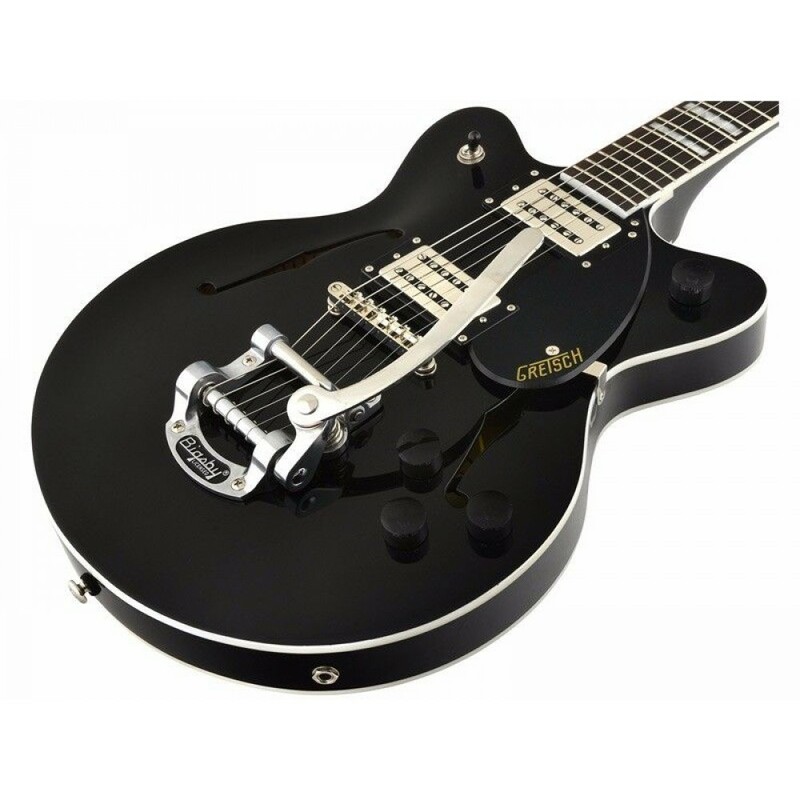 As you'd expect from the team at Gretsch, this is a workhorse that is perfect for beginners and gigging pros alike. The body is crafted using laminated maple, a highly resonant tonewood that produces a brilliant high-end energy. The lamination gives the wood greater resilience with regard to changes in temperature and humidity, making the G2655T a fantastic model for touring with. A lightweight spruce center block runs along the length of the body internally, which helps to reinforce the top, while helping suppress unwanted feedback when you're performing in a loud, or heavy gain situation. The vintage aesthetic of the G2655T Streamliner is reinforced by the elegant two-ply white and black body binding to emphasize the sultry curves of this model. The energy produced in the body is harnessed and translated beautifully by the Broad'Tron humbucking pickups. This high-output partnership delivers lows with a thunderous roar, mids with a weighty punch, and highs with a ringing clarity. 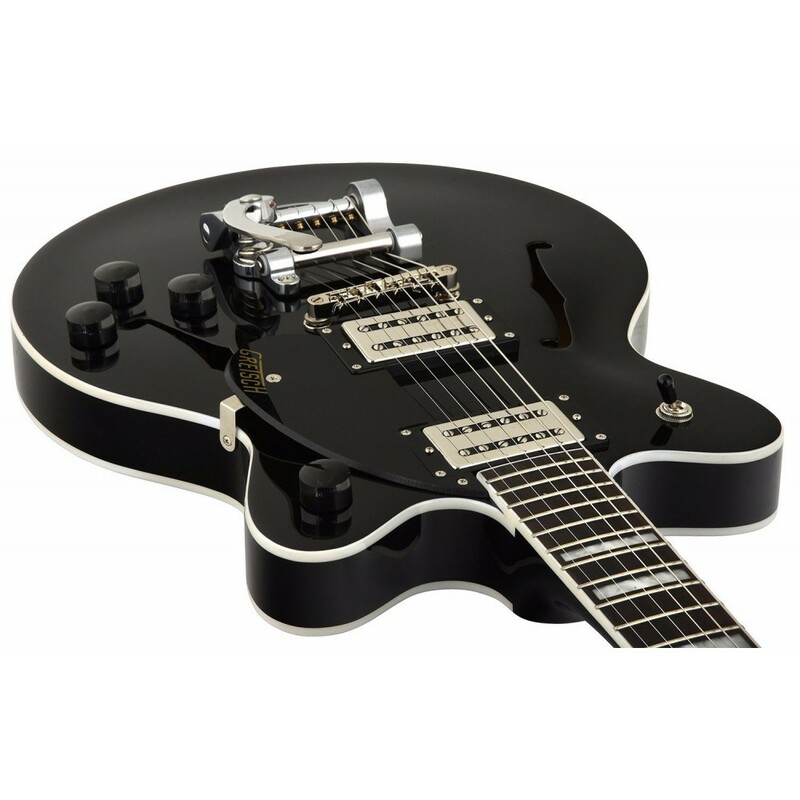 Whatever style of music you play; the Streamliner is as adaptable as your playing style demands. 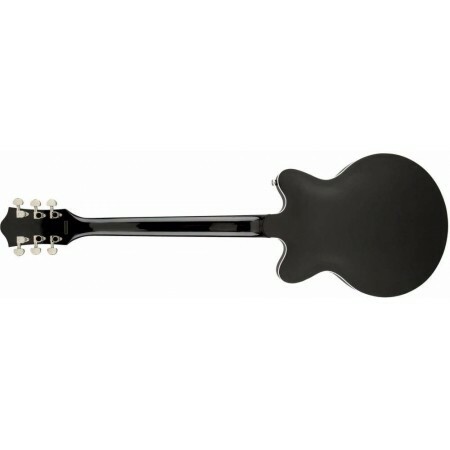 Control comes in the form of independent volume controls for each pickup, a master volume pot, and a master tone pot. There is a three-way pickup selector switch that allows you to select either pickup individually, or both simultaneously. In keeping with the vintage finishing touches, black vintage-style control knobs are on hand for smooth and precise control over your tone. 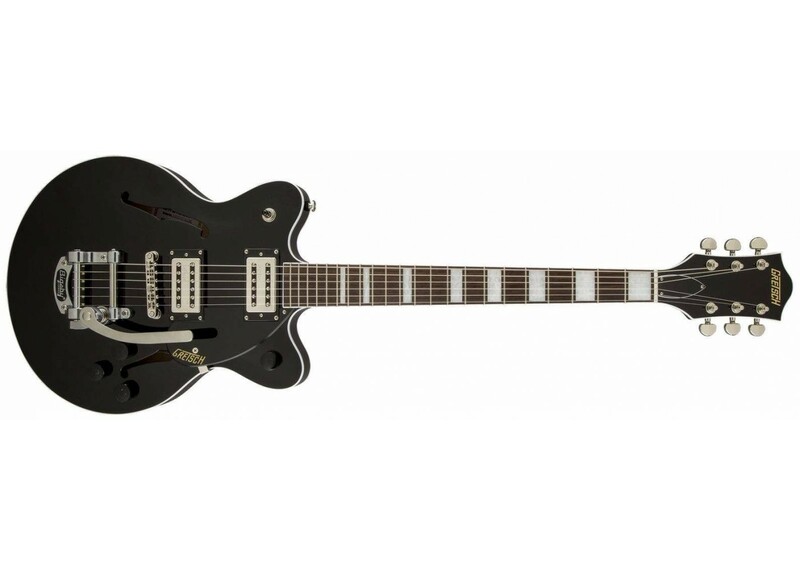 The exceptional playability and control afforded by the G2655T wouldn't be quite the same without the anchored adjusto-matic bridge and Bigsby-Licensed B50 tailpiece partnership. String action adjustment is simple thanks to the bridge, and you can rest assured that tuning stability, intonation and sustain is upheld dutifully thanks the combined effort of the bridge and synthetic bone nut. The Bigsby-Licensed B50 tailpiece is a joy to work with, responding gracefully and returning to its original position quickly. Fender Blues Deluxe Reissue Guitar Amplifier If you're looking for great vint..
Fender Champion 40 40W Guitar Combo Amp with Effects Simple to use and versatile enoug..
How can a modern legend like the Mustang digital amplifiers be improved? Simple they do it..